Kenyan leading newspaper, The Standard on Sunday, has reported that an undercover investigator has exposed how a homeopathic clinic, claiming to treat people with HIV, is advising clients to stop taking life saving anti-retroviral drugs. The paper also reveals that the Abha Light clinic has been receiving funds from UK homeopathy charities and rich individuals, such as newspaper man, Sir Richard Storey, and surprisingly even The Global Fund, partly funded by Bill Gates.. In an investigation, undertaken by the UK based Bureau of Investigative Journalism, a reporter made an undercover visit to one of the Abha Light clinics in Nairobi and enquired about treatment for a HIV positive sister. The Homeopath Rachael Rawi advised the reporter that the sister need not take ARVs after homeopathic treatment had started. This blog has been heavily critical of the delusional practices of Abha Light for many years. Indeed, last July, I exposed through leaked emails how the clinic was telling its supporters to ‘keep silent’ on their unethical trials with homeopathic sugar pill treatments for HIV and malaria. The homeopaths do not want the world to know what they are up to and what they really believe. This scandal then is no surprise. It is also no surprise that the clinic is being funded by Western homeopaths. When I first wrote about Abha Light, I complained to the Society of Homeopaths that one of their members had travelled to Kenya to work at this clinic in ways that appeared to violate their code of ethics. The Society of Homeopath’s response was to whitewash the complaint and instruct their lawyers to get my web hosts to close me down with threats of legal action. Anger at Abha Light is completely justified. Their clinic is based on the deluded and superstitious practices of homeopathy. Their so-called remedies are often so dilute that all is left is plain water, or a sugar pill that has had water dripped on it. And they claim their remedies can prevent and treat the most lethal diseases such as HIV, TB and malaria. It is a murderous delusion. And it is also no surprise that their staff advise their clients to stop taking life saving medicine. Homeopathy is not a complementary medicine in that it does not seek to work alongside mainstream medicine. Nor can it be described as an alternative medicine as it does not see itself as an equivalent, alternative choice to other forms of treatment. Homeopathy is founded on the principle that it holds the One Truth to medicine: that illness has to be treated by poisons that create similar symptoms in healthy people (The Law of Similars). These ‘similar’ medicines must be given in the ‘minimum dose’ – a dose so small that it most often contains none of the original poison. Such is the central delusions of homeopathy. But homeopathy is also founded on the idea that people who do not follow the Law of Similars – the allopaths –inflict great harm by ‘supressing symptoms’ deep into the body, only to re-emerge as worse illness. It also often believed that many non-homeopaths deliberately give ‘suppressive’ medicines precisely to cause greater illness later on and, hence, more profit for the doctor. It is therefore standard homeoapthic practice, not only to treat the symptoms of the disease, but also to treat the so called suppressive effects of other real medications that they may be taking and, eventually, to wean their client off the allopahic medications all together. Rachael Rawi’s actions are not the single aberrational act of a homeopath stepping outside of her code of ethics, but routine practice. Any code of ethics that may exist is a simple smokescreen, as is most readily demonstrated by the Society of Homeopath’s complete unwillingness to hold UK homeopaths to their own code. Abha Light is the leading missionary homeopathic clinic in Africa. There are many springing up in Ghana, Malawi, Botswana and Tanzania. 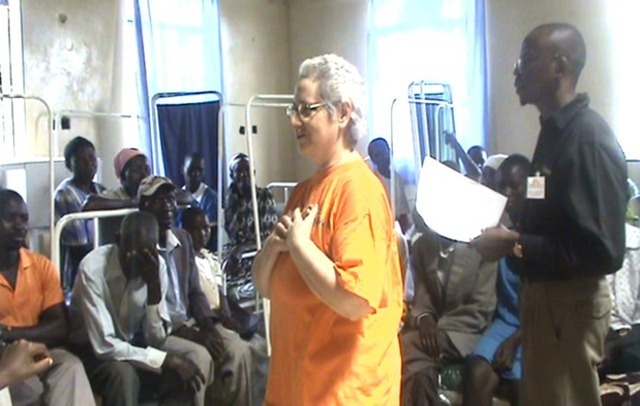 The founder of Abha Light, American Barbara Lynn (or as she prefers to be known, Yogic nun Didi Ananda Ruchira), has been the leading voice in advocating homeopathy in Africa. Her cult-like, superstitious and erroneous beliefs are a direct and immediate threat to the lives and health of those she comes into contact with. She is training locals in clinics to set up their own homeopathic practices. Every family who leaves them believing their are protected from malaria, or have effective management of their HIV infections, is a family put at real risk. Under the Medical Practitioners and Dentists Board Act, somebody is not allowed to mislead the public. 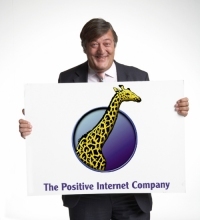 You cannot sell a product based on a lie to hoodwink the public. These people should be arrested. It is time for the Kenyan authorities to take decisive action here. Barbara Lynn and the Abha Light homeopaths are not going to respond to reasoned appeals to stop making unevidenced claims. They are to deep in their cult, their conspiracy theories and their commercial enterprises. Until such time as Kenyan authorities dissolve this organisation, lives will be continue to be put at unnecessary risk. And those in the UK who fund this atrocious organisation should be named and shamed. The UK newspaper, the Independent, have now run with this story and have also written a leader comment on it. This must surely be putting lots of pressure of Abha Light now. The article by Melanie Newman and Alex Chepkoit can be found here: An alternative for Kenya’s HIV patients – or a health scandal? There have been many snake oil salesmen purveying cures for Aids but to find their activities backed by UK charities may be a first. Did the charities know what was being done in their name? Or did they hand over the cash and leave others to decide how to spend it? It is good to see the mainstream media covering this issue so thoroughly. There have been a few blogs highlighting the terrible practices of these superstitious medical clinics and how they are supported by homeopathic organisations in the UK and their charitable offshoots. I’ve sent the link to The Global Fund. I’ll let you know if they respond. Do not forget that Abha Light use a malaria “nosode” supplied by Ainsworths, who have a Royal Warrant from HRH Prince Charles. That’s the second time in as many days that I’ve heard Bill Gates’ name attached to quackery. Yesterday, I watched a video about “climategate” that revealed that Bill Gates funded research by a physicist who was a climate denier. In that case, the research conducted by that physicist actually ended up supporting the view of climate scientists and the physicist actually recanted. Perhaps Bill Gates funded the research because he was confident that the view of climate scientists would be up held. However, his motivation in the case of research into homoeopathic vaccines seems much harder to rationalise. Perhaps he does not understand homoeopathy, or that this was about homoeopathy, though I wonder why he would channel funds into something he doesn’t understand. Am I reading this wrong? Shouldn’t that go “unevidenced claims”? these physicians should be jailed. Sam – perhaps you could point out any aspect of this article that is wrong?